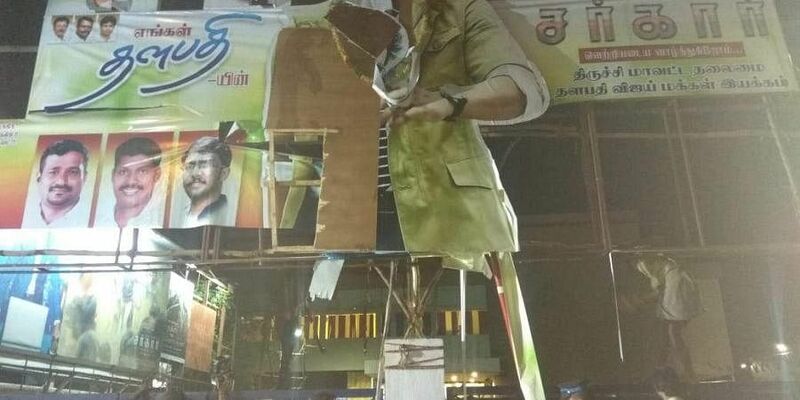 On demand of the Tamil Nadu government, the 'Sarkar' team has now muted the name 'Komalavalli'. Following a number of allegations about showing the Tamil Nadu government in bad light, team 'Sarkar' on Thursday agreed to cut the ''controversial scenes." On demand of the state government, the Vijay-starrer film has now muted the name "Komalavalli". Also, the alleged insults against the freebies are being removed, according to reports. Earlier in the day, Tamil Nadu Law minister CV Shanmugam condemned 'Sarkar' for allegedly attempting to instigate violence in society and said that it is not less than a terrorist instigating people for violence.